A new leak claims Samsung will launch the Galaxy S10 X 5G with 12GB of RAM. Huawei’s upcoming P30 Pro is also likely to come with a 12GB RAM variant. A new image has been spotted circulating on Chinese microblogging site, Weibo that claims to reveal the RAM configurations of two upcoming flagships from Samsung and Huawei. Samsung will allegedly release two new variants of the Galaxy S10 called the Galaxy S10 X and Galaxy S10 X 5G. The latter device is shown to offer a whopping 12GB of RAM. The same storage configuration is also shown to be offered on the upcoming Huawei P30 Pro variant. 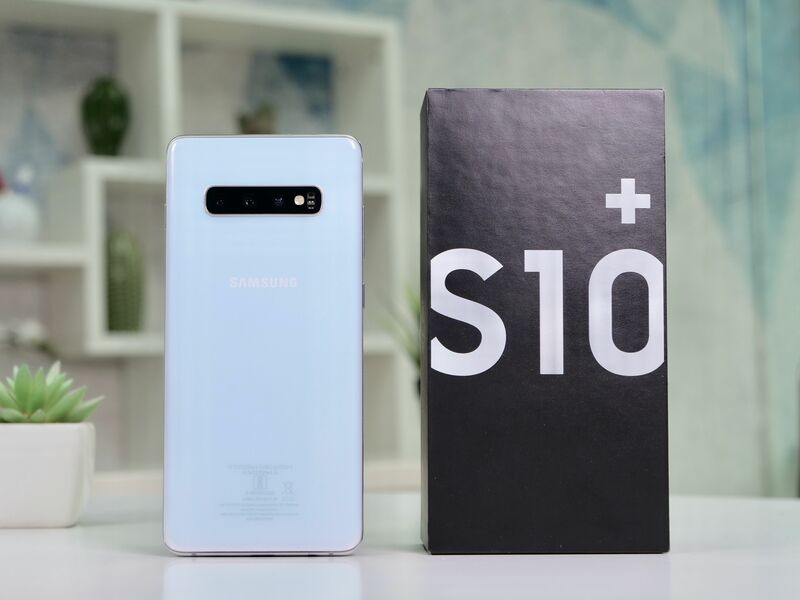 According to a Weibo post by Lei Technology, there are four new smartphones in the Samsung Galaxy S10 lineup. This had already been confirmed by a leak last month. The new finding claims that the upcoming smartphones will be called the Galaxy S10, Galaxy S10 Plus, Galaxy S10 X and Galaxy S10 X 5G. Furthermore, it gives us a look at the RAM configurations of these smartphones. The Galaxy S10 phones will come with 4GB, 6GB, 8GB, and 12GB of RAM respectively. Though there is no confirmation yet regarding the storage, but we do expect there to be multiple offerings by the time it is launched. 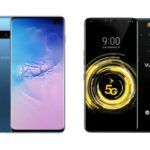 To recap, the smallest of these Galaxy S10 models are expected to feature a 5.8-inch display, while the larger ones will come with 6.44-inch screens. The Galaxy S10 will likely to offer a single camera setup at the rear along with a side-mounted fingerprint scanner. 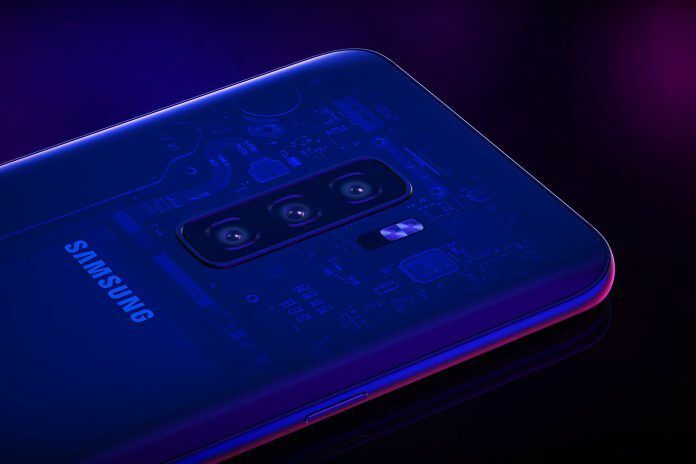 The larger Galaxy S10 Plus will feature a dual-camera setup while the Galaxy S10X models are expected to feature triple camera configurations. A recent leak hints at the latter setup equipped with a 12MP+16MP+13MP combination. An aperture size of F1.5/2.4 will be available for the primary lens, F1.9 will be present for the ultra-wide-angle lens, and F2.4 will be there for the telephoto lens. 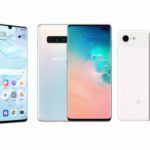 According to circulating rumors, these larger models will also offer in-display fingerprint sensors. The Huawei P30 Pro is certainly a smartphone we are looking forward to considering how impressed we were with its predecessor, the Huawei P20 Pro (review). It remains to be seen how much of an upgrade 12GB of RAM makes if this leak turns out to be true. 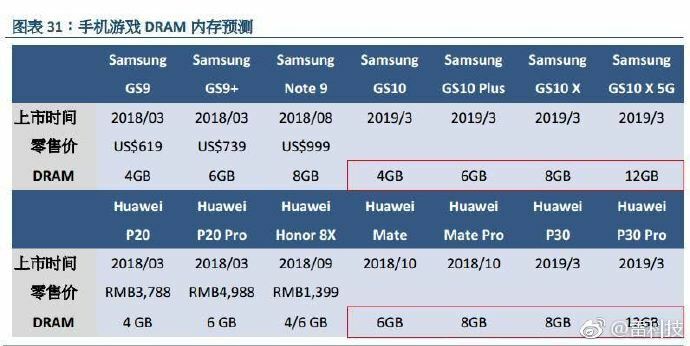 On the other hand, the leak also claims that the Huawei P30 will get 8GB of RAM. This is 2GB more than what is found on this phone’s predecessor, the Huawei P20. According to this leak, the two new Huawei phones might be released in March of next year. 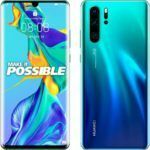 The existence of the P30 Pro was confirmed last month by Huawei’s Richard Yu during the IFA 2018 trade show. While he did not confirm the internals back then, it is safe to say that the phone would offer nothing less than top of the line internals. 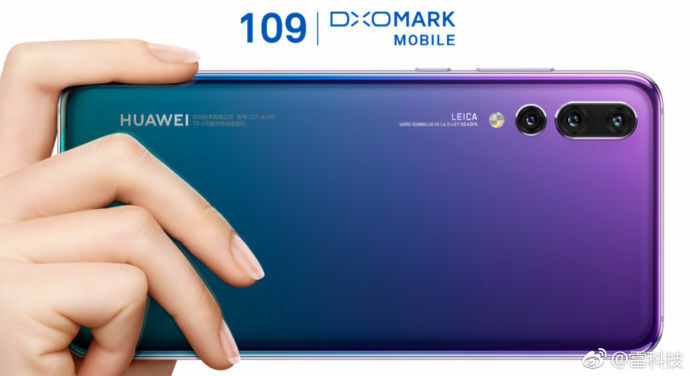 The Huawei P30, on the other hand, should offer slightly cut down specifications while also carrying a relatively smaller price tag. While Samsung will be coming out with its first 5G capable smartphone next year, Huawei is likely to bring its offering much sooner. The Chinese phone maker has confirmed that the Mate 20 Pro will be making its debut in the Indian market as early as November of this year. 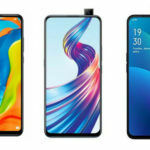 It has also said that the Indian launch will make its debut to the 5G support system as well. While we are at it, check out our review of the P20 Pro.